Our new RTCLUB Competition DIY Kit (Complete) slingshots you directly into the fun and excitement of club-level go kart racing. Complete with every component required to be class legal at most 4-stroke clubs, you'll be able to get out there amongst it and enjoy the sport, without worrying about the wheels falling off before you get to the start line! Our competition kits include engines with upgraded performance internal components including an Aluminium flywheel to ensure class legal running at most 4-stroke clubs around Australia. 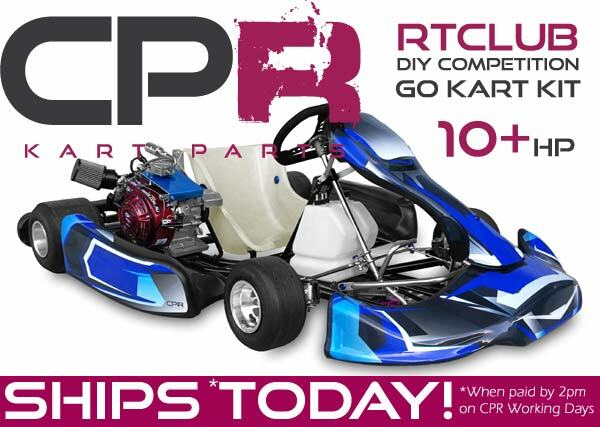 Whether you're just starting out in karting, or you're looking at a cost effective alternative, our DIY kits are easy to assemble and offer quality CPR components as well as an assembly manual. 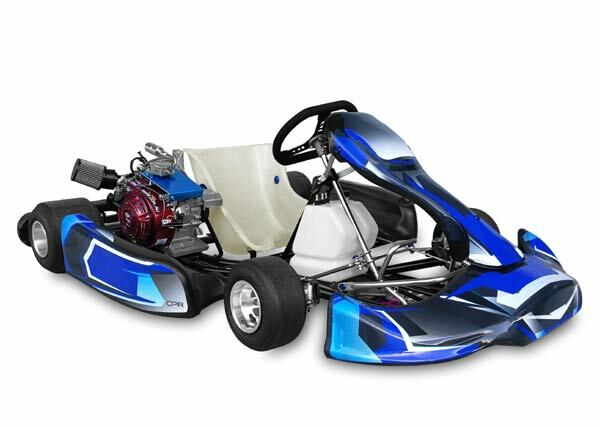 Building a CPR go kart is fun for the whole family, and after it's built, well it's still fun for the whole family! 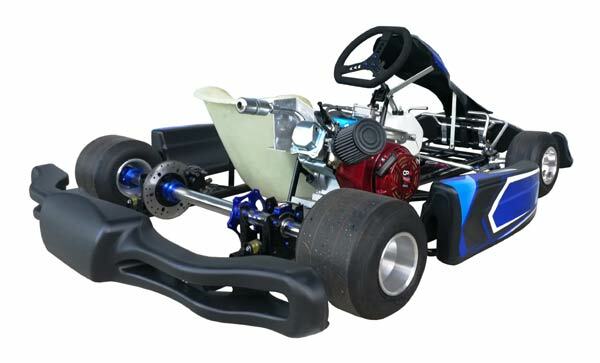 This kit is a full kart including the engine. Everything is there including your choice of gearing and chain. And if you want to go even quicker, you can choose between our high performance engines for an additional fee. Supplied with anodised parts and high tensile bolts, washers and nuts. Simply select your colour from the options after you click configure. The base version of the kit does not include our popular new Race Sticker Kit but this can be selected in the configuration for a small fee. The base version also includes our standard style of steering wheel (race version pictured) but the steering wheel can be upgraded to the race version in the configuration menu for a small fee. Lockyer Valley Dirt Kart Club - Ma Ma Creek, legal for junior and senior classes. *Class legal when optioned with default engine. Chassis is legal for racing in all classes. Choosing a higher performance engine may change the performance class you can race in. 3. Steering Assembly including steering wheel and all nuts and bolts/spacers etc to fit. 4. Stub Axles and all nuts and bolts/spacers etc to fit. 7. Complete rear axle assembly includes two bearings all nuts and bolts including disc.